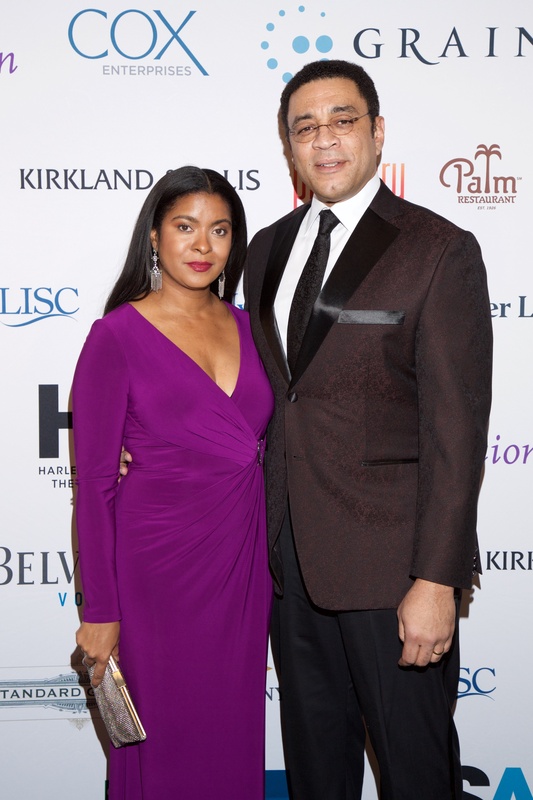 (L-R) Pamela Carlton (wife of Charles Hamilton) Eric Pryor (HSA President. 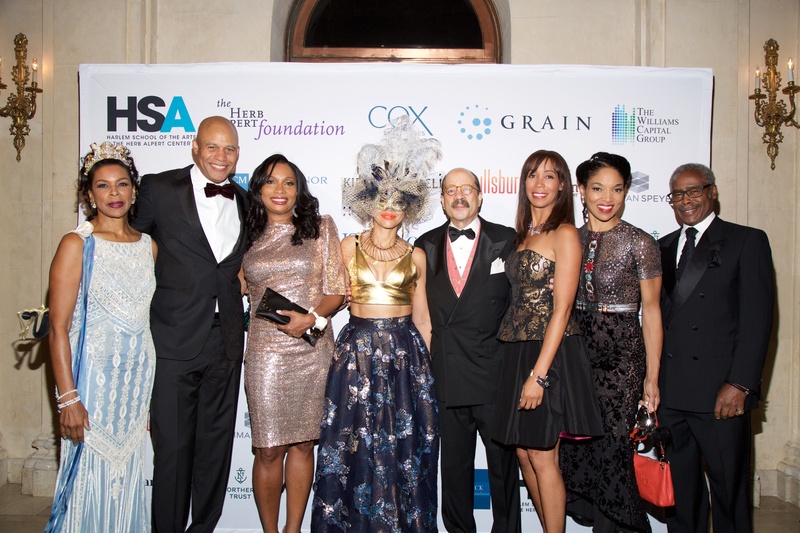 ), Janice Savin Williams (Vice Chair, HSA Board), Jacqueline Nickelberry, board member, Charles Hamilton (Chair of the Board), Michelle Fizer Peterson, board member, actress Lisa Arrindel and Founder of Essence Magazine, Edward Lewis. 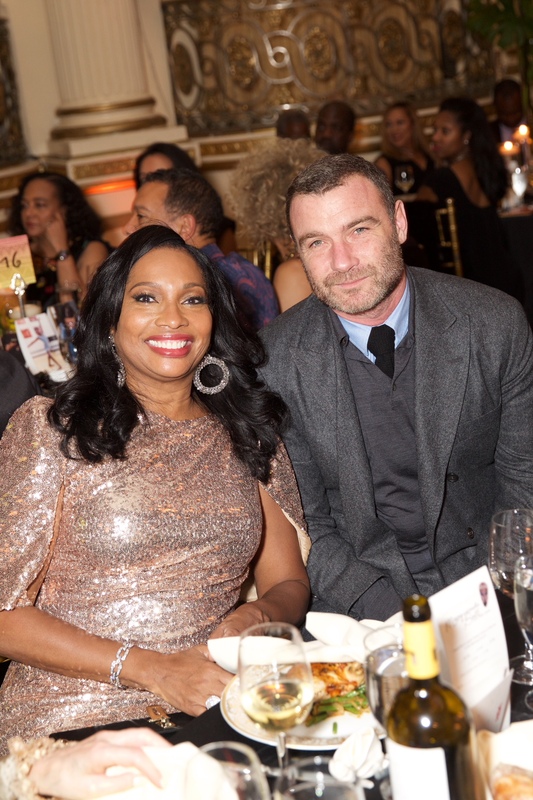 This year’s Harlem School of the Arts (HSA) Masquerade Ball and After Party, an annual benefit gala in support of the 54-year-old arts organization, surpassed expectations once again by raising over a million dollars, for the second year in a row. 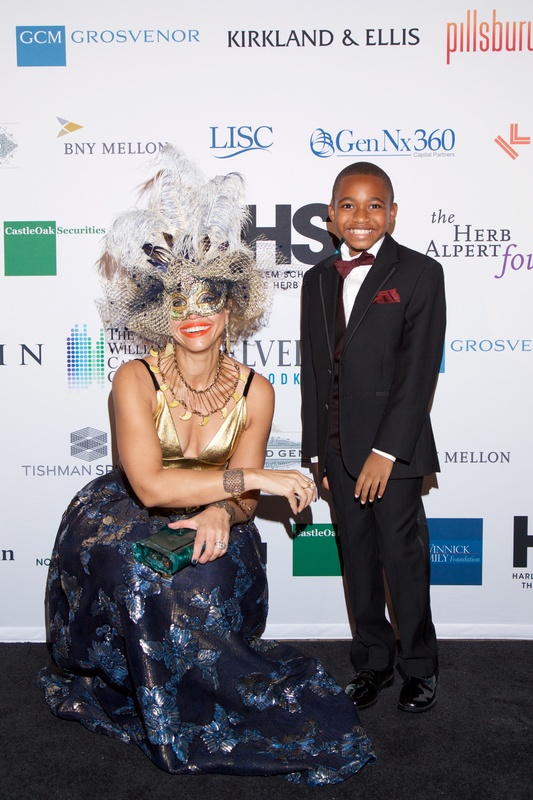 The event was held at The Plaza Hotel in New York City, and was hosted by Fox 5’s very own, Lori Stokes who shared the podium with co-host, 9-year-old Jayden Hairston, one of HSA’s outstanding student ambassadors. The gala, which has become the organization’s main fundraising event, helps maintain the level and quality of programs the organization can develop and offer. Additionally, these funds ensure that students who need financial support to continue their training, can count on it. had to file for food stamps on occasion, but who “understood implicitly, that the arts belong to everyone… and that no child should be deprived of their power simply because they were born into the wrong economic conditions.” Exactly the reason Dorothy Maynor, internationally acclaimed concert soprano, founded HSA at a time when the community was in desperate need of such a place. The Visionary Lineage Award was given posthumously, to the late fashion icon, Amsale Aberra, who passed away in April of 2018, and to her daughter singer/songwriter, Rachel Brown. Amsale’s husband, Neil Brown accepted the award on her behalf and was visibly moved by the honor, by his daughter’s tribute to her mother, and by the evening and all it represented. Outstanding young actor Caleb McLaughlin, an alumnus of the Harlem School of the Arts, and one of the breakout stars of the Netflix series, Stranger Things, was unfortunately not able to attend because of a conflict with the shooting schedule for season 3 of the series. But in a video message he thanked his teachers who played such a key role in helping him achieve the success he currently enjoys, and made clear the importance of keeping HSA thriving. This message carried throughout the night. Two exceptional educators, former model Rashid Silvera, a Harvard Graduate with a master’s in education, who taught social studies at Scarsdale High School until his retirement in 2017; and Tsyala Khudad-Zade, known to her students as Miss Delilah, an immigrant, from the former Russian state of Georgia, who has been teaching piano at the school for almost 40-years, were both recipients of the Distinguished Teacher Award. This year’s live auction did not disappoint and was once again a highlight of the evening. Among the items featured – lunch with Caleb McLaughlin, a hot item for the younger set; a visit with Liev Schreiber on the set of Ray Donovan, season 7; as well as a vacation at renowned author Ian Fleming’s former island retreat, Golden Eye. The festivities spilt over to the After Party, held in The Plaza’s Terrace Room, with guest donning colorful masks and reveling to the monster mix and spin skills of DJ D-Nice until the witching hour.